Ace Automation manufacturing of mosquito coil making machines with latest technology and advanced design which helps to high production capacity and user friendly operations. 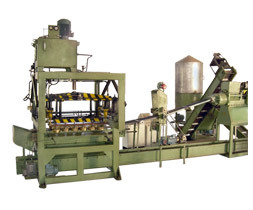 Ace mosquito coil making machines are maintenance free in continuous operation. Our machinery meets all international standards. Our extensive research and experience makes our products are operated with minimum maintenance and high production cycle.